You've probably heard the story this week that Arch Clark West, inventor of the Dorito chip, died this past week at the age of 97, and that his family intends to sprinkle the tasty snack over his gravesite. It's been all over the news for two days. You probably didn't know that he was raised at the Indiana Masonic Home. West was born in Indianapolis on September 8th, 1914, and was placed in the Masonic Home in Franklin, Indiana after his father, who was a Mason, died, leaving his mother with two sons she couldn't support. A vast number of the children raised at the Home were not orphans, but were sent there because of tough economic times, or the loss of one parent. West got his bachelor's degree in nearby Franklin College on a scholarship. He then became a cheese salesman in Indianapolis for Standard Brands. He joined the Navy in 1943 and was a gunnery officer aboard the USS Holt during WWII. When the war ended, he returned to his Indianapolis job. 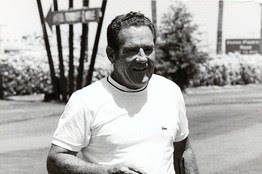 West had a strong reputation in the food industry when the Frito Co. recruited him to be its marketing vice president in 1960. He had worked for both Lever Brothers and Young & Rubicam in New York as a liaison between the creative teams and clients that included Jell-O. He created the Dorito chip in 1961 after Frito merged with H.F. Lay. He was marketing VP of Frito Lay in Texas at that time. Doritos started when West was on a family vacation near San Diego. He found a snack shack selling fried tortilla chips and brought home the idea. He will be laid to rest in Dallas on October 1st. RIP.